WHY NOT GET BACK TO THE GAME YOU LOVED? 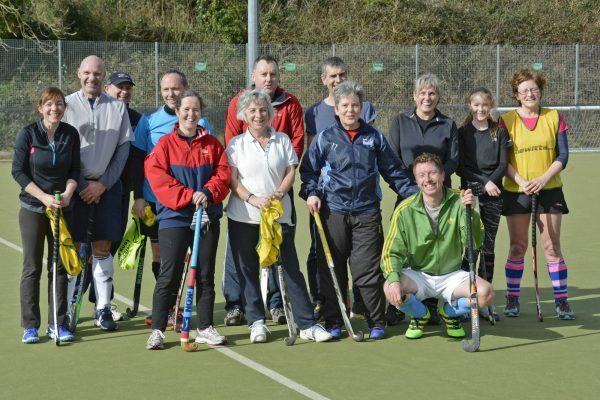 Our Rusty Hockey was one of the first in the county to cater for both men and women returning to hockey. We were even featured on Sky Sports back in 2012! (see photo). Since then we have been keen contributors to England Hockey’s “Back to Hockey“ scheme. We run a very successful session in parallel to the boys’ training session for adults who want to pick up a stick and receive coaching. It’s very much recreational for those who have played before and want to come back to play but it’s also for those who have never played before – and everyone in between. Rusty Hockey is a great introduction to the game and an even better way of easing yourself back into hockey. So, whether you have played at school, university or more recently and want to pick up a stick again then this recreational session with coaching will be ideal. Rusty Hockey is a great introduction to the game. Sundays: 10:00 – 11:00 in term times. We operate at two venues – Sidmouth Leisure Centre and Ottery St Mary Leisure Centre – alternating between the two each half-term. We break over the two weekends in the Autumn & Spring half-term holidays. This season (2018-19) we start up at Sidmouth Leisure Centre on Sunday 9th September. Last Rustys before the Winter Break will be Sun 9th Dec (Ottery), resuming on Sun 6th Jan (Sidmouth).